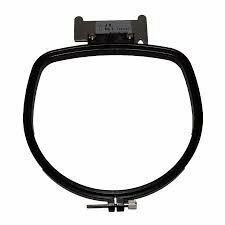 Janome J8 is a small arm hoop perfect for monogramming and lettering. Please note that the Monogram Hoop Holder is required when using this hoop. The hoop measures at 120 x 121mm. You must have the Monogramming Hoop holder for this hoop.